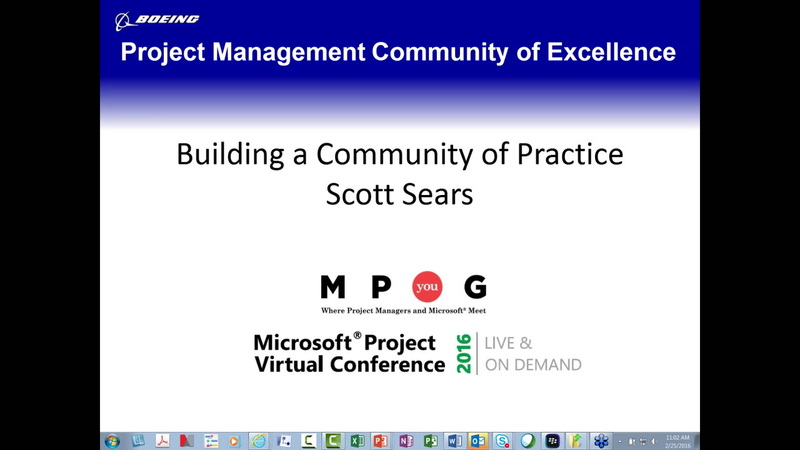 Scott Sears will present an overview of the Boeing Project Management Community of Excellence’s journey to its current state and give you some insights which may help you build a learning community within your organization. Scott has been with Boeing since 1989. He has worked in Manufacturing, Quality, Engineering, IT and CAS in various capacities. His main focus has been Project Management. He has a BS in Aerospace Science; a PMP® certificate; Airframe and Powerplant Mechanic License; and Commercial Instrument Pilot License. He currently is the Project Management Community of Excellence (PjMCoE), and the PjMCoE Events Project Manager since 2006 leading to his role as PjMCoE Leader in 2011. Audio issue with speaker’s microphone was very challenging. It was more general than I expected.